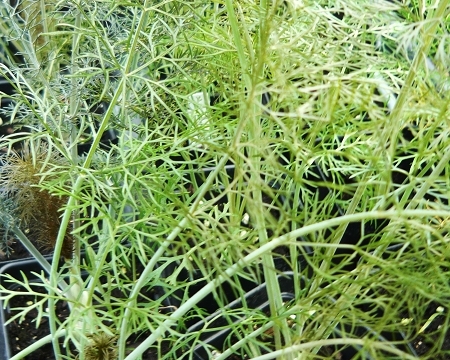 Bronze Fennel - Highly ornamental Fennel variety has dark copper colored lacy leaves. Same culinary use as regular green fennel. Attracts butterflies and beneficial insects to the garden. Perennial zones 5-11. Live starter plant in 3 inch container.